SKU: EIN7. Category: Kutch Collection. 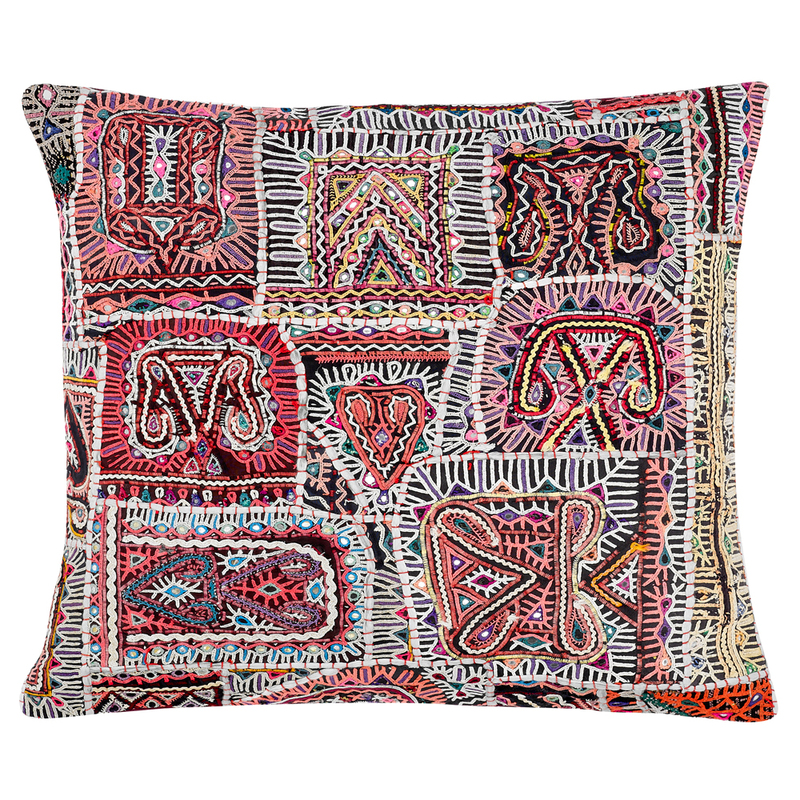 Tags: cushion, India, one of a kind, Rabari embroidery, vintage, hand embroidered. 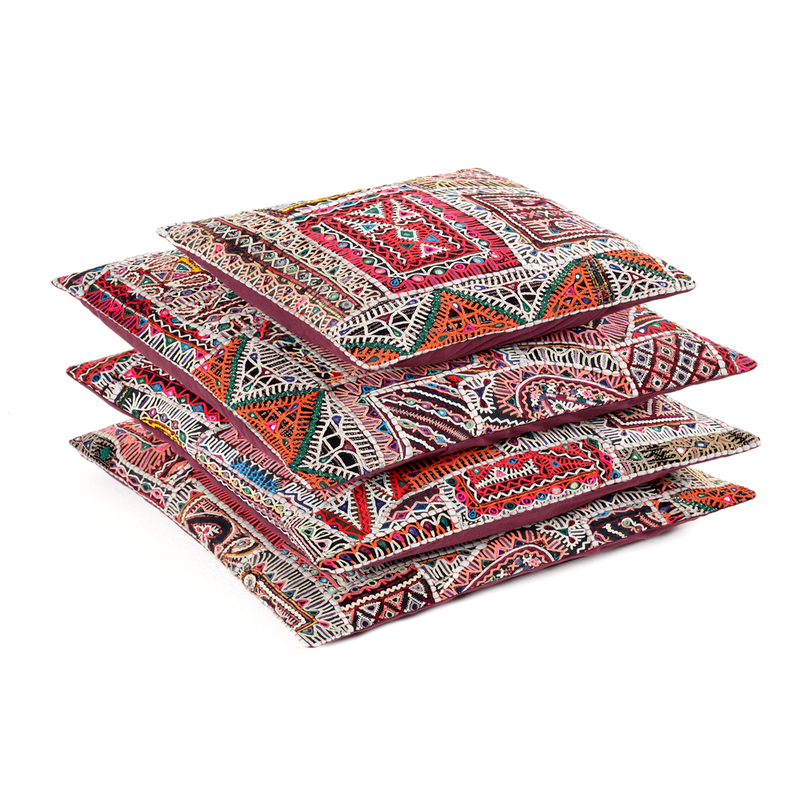 A striking, hand embroidered, vintage cushion featuring Rabari embroidery in a vibrant palette of pinks, reds and orange. The Rabaris are pastoral nomads living in western India. Rabari women are known for their distinctive embroidery. The patterns and motifs are handed down from mother to daughter over generations. Scroll over the image to see the embroidery in more detail. This one of a kind piece looks good on its own or teamed with other Rabari embroidery in the Kutch collection. This cushion is backed in purple cotton.